Most Friday afternoons just before happy hour kicks off, the staff at Narre Warren based VentraIP leave their computers and gather around the Wheel of Rewards. One lucky employee, singled out for going above and beyond, gets to step up and spin the colourful wheel cheered on by their colleagues. The wheel can dial up prizes ranging from a holiday, to a new smart phone, to cash and even a new car. It can also land on the booby prize. 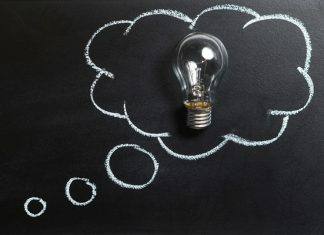 “We needed a way to reward team members on a consistent basis for going above and beyond, “explained VentraIP CEO Angelo Giuffrida. “The reward wheel was born out of staff feedback and has evolved over time. Everyone is involved and there is a really encouraging, positive vibe. The Wheel of Rewards is just one innovative way Angelo and his business partner Cheyne Jonstone keep their staff of 49 happy and engaged. As a group, VentraIP is the largest privately owned web host and domain name registrar in Australia. “Essentially we operate three brands – VentraIP Australia, Zuver and Synergy Wholesale. Each brand focuses on a specific segment of the market, but all of them operate within the online services space, “explained Angelo. VentraIP started 10 years ago in Cheyne’s Officer home. “I can’t stand the phrase bedroom to boardroom, it is so clichéd, but it really is akin to our story, it’s what we came from, “ Angelo explained. Initially the business comprised just Cheyne and Angelo, but as it expanded working from Cheyne’s house became unworkable. “It got to the point where there were three of us in the office which was all it was built for. When another staff member came in for meetings on a Friday he would have to work at the side of my desk, I’d have to climb over him to get out of the office to get a drink. Angelo and Cheyne moved their business into office space in Verdun Drive and then to its current 1500 square metre secure office in the Casey Business Park. The landlord has allowed Angelo and Cheyne to grow and customise the space. When Grow visited builders were converting a recreation area into a fully equipped gymnasium. Staff also have access to an on-site cafe and bar, hair salon, games room, nap room, child’s swing set and a New York style phone booth for private phone calls. A chef serves staff lunch and a barista is on hand for coffee orders. “We’ve got away with a lot of crazy things in this office, which fosters our core values and beliefs which is to be transparent and open and it’s how we still operate today, “said Angelo. 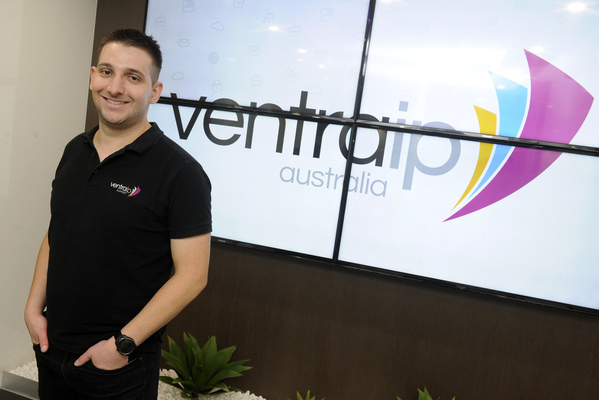 All VentraIP’s staff are Australian based, a fact that sets the company apart in the competitive tech space. Initially VentraIP’s support team was based in India, with Australian based staff dealing with escalated cases. “The market shifted and we identified a gap in market in terms of service delivery, which is virtually non-existent in the online services and web hosting space. As providers all moved slowly to offshoring, we made the tough decision to say ’you know what? It’s not working for us’. Angelo said they considered a telecommuting model that would have let them hire staff from anywhere in Australia, but in the end decided to hire almost exclusively from the South East suburbs. He said the South East location had proved no barrier to recruiting highly skilled staff. VentraIP has customers in New Zealand and the firm unsuccessfully attempted an expansion into the US. “We still service a large number of clients in New Zealand, but we are primarily focused on Australia. This sings true to where we are now as a company as Australia backed, Australian based, 100 per cent Australian. In the office foyer stands a huge stuffed dinosaur. Smaller toy ’Venturasaurus’ are scattered around the office. “It’s not our mascot because dinosaurs are extinct, out dated and slow, which is not our business, but they’re cute and everyone loves them,“ said Angelo, laughing. The colourful toys, the well-stocked drinks fridges and the wide screen TVs scattered throughout the office are all testament to the time, energy and money Angelo and Cheyne spend on fostering a great workplace culture. “You can have great culture in an office that doesn’t have a swing or a gym. It’s about the environment from above, it’s got to come from above and it’s got to be truly believed by the people in charge and also shown,“ Angelo said. “It’s not a set and forget, you’ve got to constantly evolve. You’ve got to allow a lot of organic growth, and organic comradery. Over the next five years, Angelo expects each of the businesses to continue to grow offering “a high quality service and high quality product backed by incredible service“. 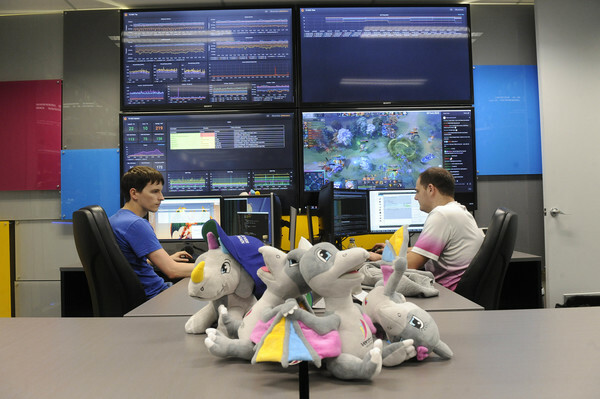 He believes large providers like Go Daddy will eventually wake up to the idea of local support and the Australian market will continue to consolidate. “For the time being our goal is to offer the best quality support and products in the market. How that will look in five years, hopefully in a continued vein, but it really depends on how the market evolves. We can literally forecast 12 months ahead, maybe 16 months for product development, but beyond that we have no idea what is going to pop up in the market. “I am most proud of the fact that we’ve been able to evolve and change over 10 years and I’m most proud of the team we’ve fostered and the environment we’ve fostered.